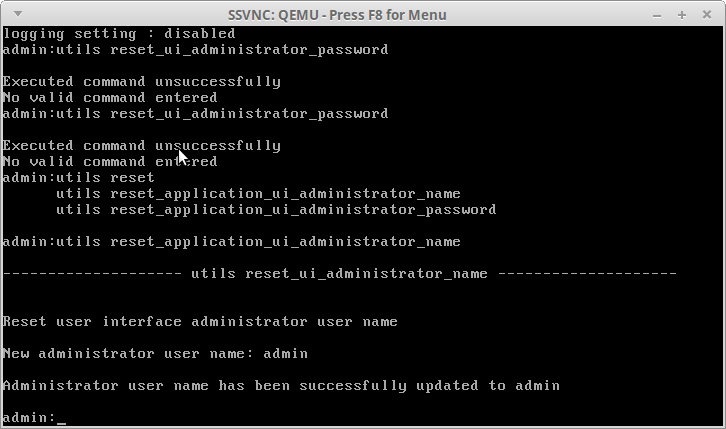 I have installed successfully but CUCM seems picky about the order of steps (eg. if you configure the wizard later or now). It also seems to need 4096MB of RAM at the most and a single CPU to avoid the error. 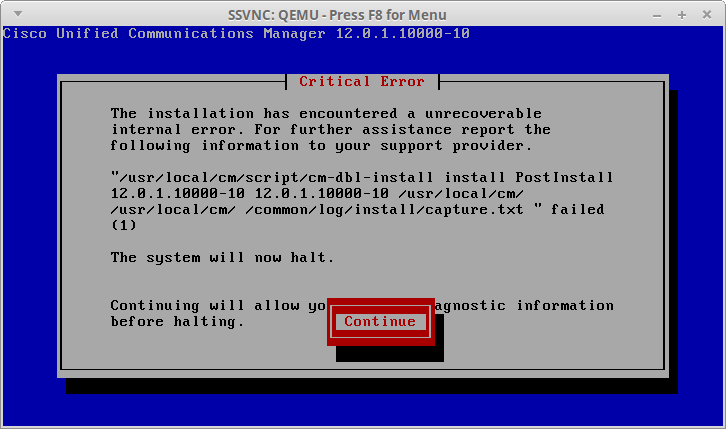 I am going to make a step-by-step guide as it seems very finicky to avoid this problem on the DB install process. The installation has encountered a unrecoverable internal error. For further assistance report the following information to your support provider. The system will now halt. Continuing will allow you to view diagnostic information before halting. guestmount: error: you must specify either -i at least one -m option. Try `guestmount --help' for more information. guestmount: error: you must specify at least one -a or -d option.